Shuyuan’s research focuses on trusted human-computer interactions, specifically addressing issues of cyber insider threats and computer-mediated deception. Shuyuan’s theory of trustworthiness attribution integrates social psychologies on trust and attribution, for insider threat detection as supported by cyber infrastructure. Shuyuan further develops the framework for a dyadic attribution model to assess human trustworthiness in sophisticated online communication environments. Shuyuan designs online games as an experiment protocol for investigating human deception and betrayal in virtual organizations. Shuyuan’s sociotechnical research approach utilizes social-psychological theories along with pragmatic viewpoints on language-action cues to create an innovative methodology for computational modeling of next generation behavioral inference systems based on language-action features in complex trust relationships, human disposition and intent detection. Shuyuan's CV can be found here. Shuyuan is an active member of well-known international academic and professional associations, e.g., Academy of Management (AOM), Association for Information Systems (AIS), The American Society for Information Science & Technology (ASIS&T), Association for Computing Machinery (ACM), International Information Systems Security Certification Consortium, Inc. (ISC)2, and Information Systems Audit & Control Association (ISACA). Shuyuan is a Certified Information Systems Security Professional (CISSP), a Certified in Risk and Information Systems Control (CRISC), and a Certified Information Security Manager (CISM). 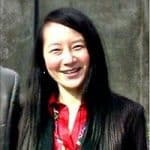 Shuyuan founded the iSensor Lab in 2010. iSensor Lab is primarily dedicated to sociotechnical research related to human factors (e.g., behavioral threat) in cyberspace. Experiments are conducted in a live, and virtual laboratory. Research data is collected through confined resources and interactions that are based on real-world cyber trust and deception simulations. Please reference here for Shuyuan's current research and publications. Shuyuan has received several grants and awards as a cybersecurity researcher and professional. Florida Center for Cybersecurity (FC2): Capture-the-Flag (CTF) Scenario-based Cybersecurity Exercises Development, $50,000, 07/01/18-12/31/19. Role: Principal Investigator. The Blavatnik Interdisciplinary Cyber Research Center (ICRC) at Tel Aviv University, A machine learning collaborative study of language-action cues in deceptive communication, $79,826 (equivalent to $NIS312,000), 01/01/16-12/15/16. Activity report. Role: Co-Principal Investigator. National Science Foundation, I-CORPS: Market Impact Identification of Dyadic Attribution Model for Disposition Assessment Using Online Games, 1505195, $50,000, 12/15/14-12/31/16. Role: Principal Investigator. Florida Center for Cybersecurity, FC2: A Sociotechnical Approach to Lawful Interception and Computational Assessment of Information Behavior to Protect against Insider Threat, $25,000, 03/01/15-10/31/16. Role: Principal Investigator. Florida State University (ITS-181006): Development and implementation of cybersecurity virtual lab, $21,035, 03/01/15-02/28/16. Role: Principal Investigator. National Science Foundation (SaTC-1347113/Ho and 1347120/Hancock), EAGER: Collaborative: Language-action causal graphs for trustworthiness attribution in computer-mediated communication, $199,998, 09/01/13-08/31/15. Role: Principal Investigator. Florida State University Planning Grant (PG) Award, $13,000, 12/01/13-11/30/14. Role: Principal Investigator. Florida State University First Year Assistant Professor (FYAP) Award, $20,000, 05/10/12-08/06/13. Role: Principal Investigator. Drexel University Research and Scholarship Incentive Grants (R-SIG), $5,000, 2010-2012. Role: Principal Investigator. (ISC)2 Scholarship, $25,000, 2004-2006. Role: Scholarship Awardee. R.O.C. Ministry of National Defense 3-Year Award on VPN, CA, Firewall & Policy Management Technology Transfer, $1M, 1999-2003, ($303,000, 1999-2000 1st year). Role: Technology Director. Shuyuan’s professional industry experience in information systems security (ISS) encompasses ten years of securing E-commerce systems with public key infrastructure, virtual private networks, systems engineering of role-based access control, policy-based integrated firewall, intrusion detection systems and network security. Shuyuan designed an enterprise information security architecture (EISA) called SIMPL/E (secure information management platform and environment) for a government client. She worked with a team to build a Security Operations Center for the military. She completed a large-scale virtual private network technology transfer project for a military research center.